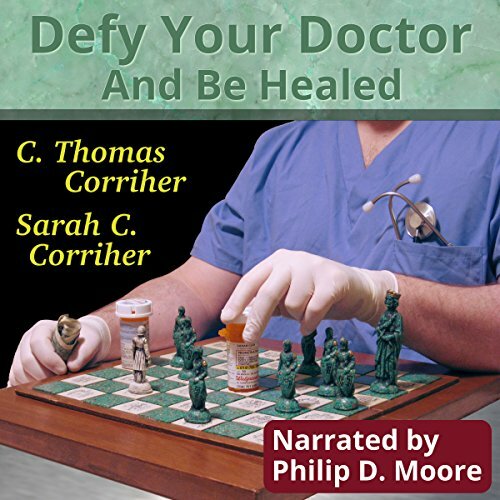 Showing results by author "C. Thomas Corriher"
Without any fear of repercussion or rejection, Thomas and Sarah lead you through a compelling, never-before-seen exposure of widespread fraud in mainstream and alternative medicine in Defy Your Doctor and Be Healed. This book is meant to be more than just an investigation of fraudulent medicine - it's intended to save your life. It's sure to be provocative as you'll learn much of what you're told or sold by medical "authorities" and the media can be reduced to cleverly devised narratives or pathways for profiteering.